Nowadays, nearly everything is designer: designer furniture, designer fashion, designer this, and designer that. The term is ubiquitous and its gratuitous use has led to the widespread misconception that if something is marketed as designer, then of course it must be quality. Basically it’s just a marketing gimmick used to make consumer goods seem more desirable. Good design, however, doesn’t require the aid of hollow marketing hype. Good design sells itself. And sometimes products, which fall under the umbrella of good design, stand the test of time and become enmeshed in our collective cultural memory. They become iconic—and several tremendous examples of iconic, quality design were created for, you guessed it, the kitchen. This tea pot was designed by Wilhelm Wagenfeld, a former Bauhaus student and German industrial design pioneer. It is made of highly heat-resistant Borosilicate glass, which is mainly used for lab glassware. The tea pot is widely considered to be a seminal piece of modern 20th century design and can be found in important collections and museums such as the Museum of Modern Art in New York. Boasting a striking, almost alien-esque design, Philippe Starck’s iconic citrus press vacillates between art and object of utility, without ever fully committing to either. Like many of his designs, the Juicy Salif is highly praised among design aficionados, yet its practicability remains debatable. That said, it’s without doubt a great eye catcher and conversation piece. The Moka pot, also known as macchinetta, (Italian for small machine) is by far the most simple and romantic way to brew a cup of joe. The distinctive octagonal coffee maker was designed by Alfonso Bialetti in 1933 and went into full-scale production in 1945. 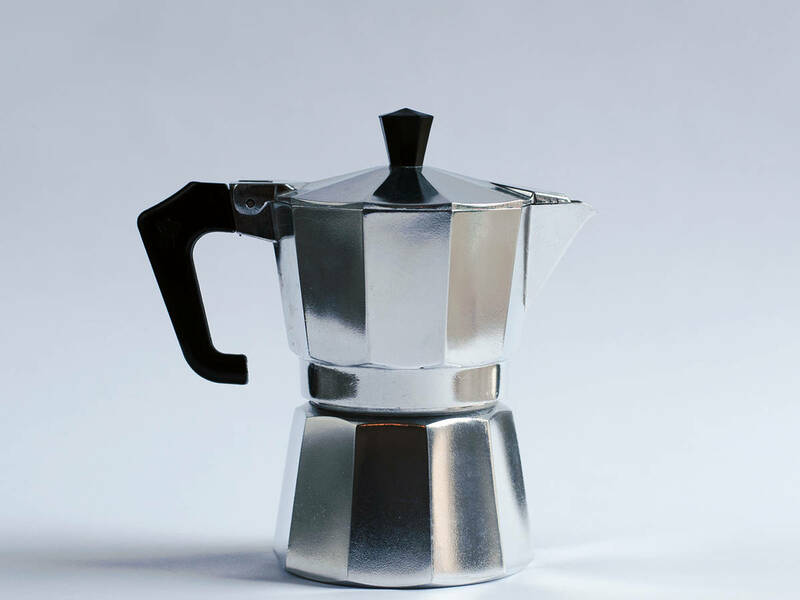 Thanks to his son Renato Bialetti’s audacious marketing strategy, the Moka Express was soon to be found in almost every Italian household. Krenit is the epitome of Scandinavian mid-century minimalism. The vividly colored bowls were designed by Danish designer and material researcher Herbert Krenchel in 1953. They are made of thin sheet metal, covered with a layer of enamel on the inside, and fiber cement on the outside. Unfortunately, production ceased in the mid-sixties due to the rise in the production of plastics. However, for the past couple of years a reissue has been available. When they hear ‘design’, many people think of pricey, yet superfluous products. Yet there many well-designed items out there that don’t cost an arm and a leg. Take the Rex vegetable peeler for instance. This exceptionally well-made piece of Swiss design history can be yours for a mere three bucks. The Weck canning procedure was developed in 1880 by German chemical scientist Rudolf Stempel. The patent was later acquired by Johann Carl Weck, who founded the company in 1900. Weck jars proved to be successful from the very beginning and in 1907 the word ‘einwecken’ was officially added to the German dictionary. While sales had been steady, but low since the 1960s, Weck jars are now experiencing a full-blown comeback. If done right, canned food can be stored for up to several decades. So, if you stumble upon some jars in grandma’s basement, put them to good use. If you have spent a significant part of your life in the US and/or if you are knowledgeable about the country’s pop-cultural heritage, chances are you’ve already come across the Kit Cat clock. The kitchen clock was introduced in 1932 und has since spread to millions of households all over the US and beyond. According to the manufacturer’s estimates, an average of one clock has been sold every three minutes for the last 50 years. For more convenient design, consider the Hadarit juicer. It was invented by Rabbi Isaac Zaksenberg in 1929 and is still being produced by hand in a Kibbuz in Israel. Due to its hard-wearing design, the Hadarit is the juicer of choice among restaurateurs and juice enthusiasts all over the world. If you ever find yourself having to serve a large group of thirsty people, it would behoove you to have one of these on hand.